Over the past five years, our platform has grown considerably within the Benelux region, as well as in our secondary market, Australia. Now, we’re excited to kick off the next chapter in our story by launching an equity-based crowdfunding round to fuel our international growth, with an emphasis on a market roll-out into the UK. 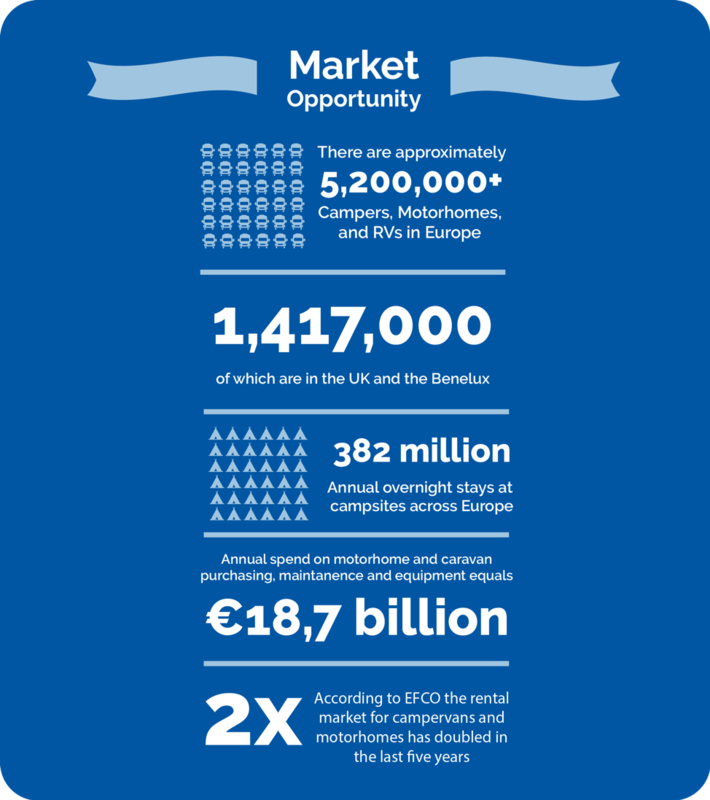 Since 2014, more than 175,000 nights have been booked so far, and over 50,000 users have experienced traveling with a Camptoo campervan, motorhome or caravan. Along the way, we’ve picked up awards like Deloitte’s Technology Fast 50 ‘Rising Star’ in 2017, the award for the most promising startup in The Netherlands. In 2018, we were also named the 16th fastest-growing tech company in Europe by TheNextWeb. the technical implementation of the bespoke campervan and motorhome insurance solution. We will be selling a portion of equity in Camptoo through a leading, global crowdfunding platform, Seedrs. Through Seedrs, our community of users and investors are able to invest in Camptoo shares from as little as EUR 10. Up to € 1.5 million is open for investors for a total of 12.2% of the shares in the Company (pre-money valuation at € 10.7 million). Interested in owning shares in Camptoo? By creating an account on Seedrs, you can get access to our full investment offering: team details, the company pitch, and financial specifics.